Shakespeare's Globe opens its doors for the biggest birthday party on Bankside in honour of the Bard. This year's Shakespeare's Birthday party is Hamlet-themed, with an Elsinore bouncy castle, sword fighting and a grave digging ball pool complete with skull. 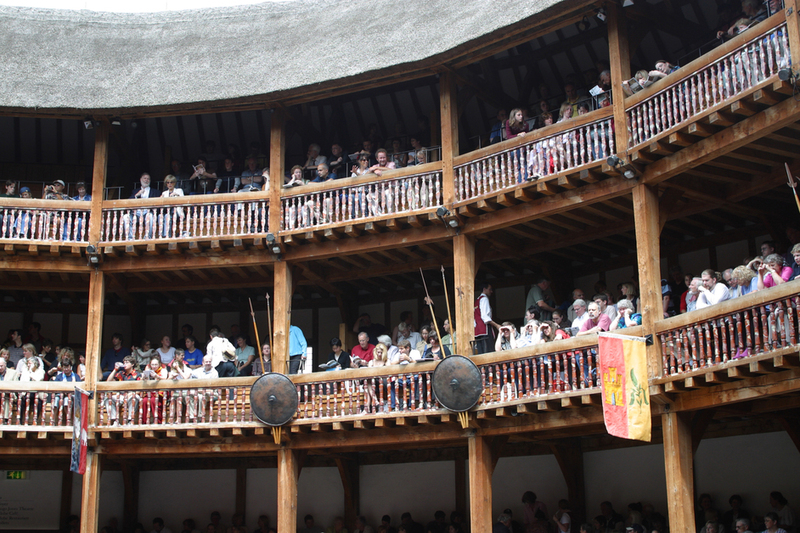 Actors who have played Hamlet through the ages will be on the Globe stage attempting to deliver the quickest reading of the play ever, and different film adaptations of Hamlet will be screened throughout the day, whilst mitts can get sticky in edible ghost-making workshops. What are the best dining options near Shakespeare's Birthday London? Shakespeare's Birthday gyms, sporting activities, health & beauty and fitness. The best pubs near London Shakespeare's Birthday. Shakespeare's Birthday clubs, bars, cabaret nights, casinos and interesting nightlife. Where to have your meeting, conference, exhibition, private dining or training course near Shakespeare's Birthday. From cheap budget accommodation to luxury 5 star suites see our special offers for Shakespeare's Globe Theatre hotels, including Hilton London Bankside from 86% off.